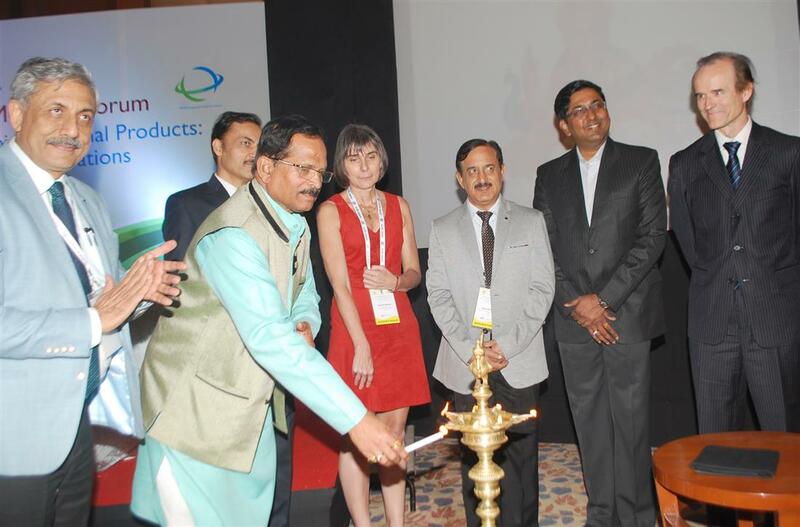 New Delhi: The World Integrated Medicine Forum on the regulation of Homoeopathic Medicinal Products with the theme ‘Advancing Global Collaboration’ was inaugurated today by Shri Sripad Naik, Union Minister of State (I/C), Ministry of AYUSH. The three-day forum is being organised by Central Council for Research in Homeopathy (CCRH), with the support of Ministry of AYUSH, Homoeopathic Pharmacopoeia Convention of the United States (HPCUS) and European Coalition on Homeopathic & Anthroposophic Medicinal Products (ECHAMP), Pharmacopoeia Commission of Indian Medicine and Homoeopathy and Central Drugs Standard Control Organization (CDSCO). The forum has participation of key public and private sector stakeholders, such as representatives from World Health Organisation (WHO) and drug regulatory authorities, as well as pharmacopoeia experts and industrialists from countries like Germany, USA, France, UK, Brazil, Belgium, South Africa, Argentina, Russia, Greece, Austria, Cuba, Qatar, Croatia, Malaysia, Japan, Hongkong and Sri Lanka. Among the delegates are also present veterinary experts, as well as the regulators and drug controllers of various states of India. More than a billion patients worldwide are demanding safe and effective medicines for their healthcare. As a result, the demand for Homoeopathy is growing. There is still a highly disparate situation among countries with regard to the regulations of homeopathic medicines and this directly affects the availability of these medicines. Apart from illustrating how homeopathy can be further regulated and integrated into the healthcare system in countries that have adopted the use of Homoeopathy since long, this Forum will also bring countries to the table where homeopathy has only been recently introduced. forum on similar lines was organised by CCRH in 2017, which was hugely successful in initiating dialogues on the steps needed in various countries for effective regulations of homoeopathic medicinal products. It is with the aim of brining the homoeopathic industry and regulatory sector on a common platform for strategic discussion that this ‘World Integrated Medicine Forum on the Regulation of Homeopathic Medicinal Products’ was initially conceived jointly by Central Council for Research in Homoeopathy, Ministry of AYUSH, Govt. of India and by World Integrated Medicine Forum (WIMF), an international firm that organises, and provides consultation for arranging such fora. Forum discussions will primarily explore the commonalities as well as differences in regulatory affairs among various countries, discuss strategic regulatory and industry perspectives and possible scenarios in advancing international collaboration, ways to further enhance pharmaceutical quality standards, deliberate on integrating Traditional Medicine systems in primary healthcare and public health, bring forth the perspectives on setting appropriate requirements on various dimensions of drug approvals including veterinary medicine. While appreciating the efforts for organising this forum, Shri Shirpad Naik in his inaugural address remarked that India is the fifth largest investor in scientific research in Homoeopathy in the world. With the institutional support of more than 200 homoeopathic colleges and an autonomous Research Council having 26 research centres, Homoeopathic Pharmacopoeia Laboratory and a work force of about 250 thousand homoeopathic clinicians, India can contribute in various aspects of mainstream healthcare. He called upon the industry as well as homoeopathic medical colleges to invest certain percentage of institutional and industrial revenues in research and collaborate with CCRH for undertaking high quality, cutting edge research projects. 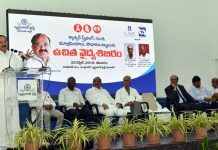 Shri Naik further added that the western medicine is today facing a huge challenge of management of non-communicable diseases which can be tackled by means of safer medicines. Excessive use of anti-biotics, pain-killers, anti-depressants, anti-hypertensive, statins, etc. are causing much harm to the society. Homoeopathy, with its safe dosage can prove to be an effective alternative in such situations. It has the potential to address non-communicable diseases by appropriately treating patients holistically in the initial stages and can also reduce the usage of these drugs. Union Minister further apprised the audience of the recent amendments in the Drugs & Cosmetics Rules 1945, which included freedom from requisition of separate license for a homoeopathy retailer for exhibiting the Homoeopathic Drugs for promotional activities in any fair, exhibitions etc. This, he said, would promote awareness and usefulness of homoeopathic medicines at wider public platforms. Another amendment that he informed the delegates about is the provision of sale of homoeopathic medicine from an allopathic counter. A licensee of allopathic drugs’ sales can sell homoeopathic medicines without any need of a separate license. This will make homoeopathic medicines more widely and easily available in India. Minister further complimented the actions taken by the Joint Working Group comprising of Homoeopathic Pharmacopoeia Convention of the United States (HPCUS), Pharmacopoeia Commission for Indian Medicine & Homoeopathy (PCIM&H) and CCRH based on the tripartite MoU signed by these bodies in the last forum, the most eminent one being successful harmonisation of 50 drugs in the American and Indian Homoeopathic Pharmacopeia. He hoped the successful outcomes of this agreement can be a benchmark for many more agreements to follow with the aim to develop and harmonise homoeopathic pharmacopoeias and to strengthen and enable regulatory provisions for homoeopathy worldwide. In his address, Sh. Roshan Jaggi, Joint Secretary, Ministry of AYUSH, complimented the theme of the forum, Advancing Global Collaborations, which, he said, was multidimensional and needed tremendous joint efforts. He said that Ministry of AYUSH welcomed all efforts for collaborations with the governments and other institutes of the world at various levels. He also informed about the main components of the International Collaboration scheme of Ministry of AYUSH, which included providing incentive to drug manufacturers, entrepreneurs, AYUSH institutions etc. for registration of AYUSH products (Market Authorisation) at regulatory bodies of different countries such as USFDA/EMEA/UK-MHRA/ NHPD/ TGA etc. for exports. He further informed that the Ministry also encourages international propagation of AYUSH by participating in international exhibitions, trade fairs, road shows etc. 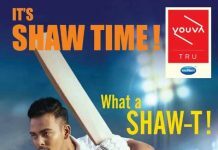 and support other international market development and AYUSH promotion-related activities. Sh. Jaggi also commended CCRH for actively collaborating internationally for various joint projects for research and cooperation in the field of Homoeopathy. In a brief talk, Dr Hélène Renoux from France, President of the European Committee for Homeopathy, presented her views on the Homoeopathy Profession’s expectations from regulators and industry. She informed that there is a strong demand from patients for homeopathy from all over Europe, with 74% patients not only supporting the use of Homoeopathy, but also in favour of it continuing to be covered under social healthcare. She further said that the EU model of regulation of homeopathic medicinal products is actually a defence barrier, and its enforcement needs to be enhanced. She also looked at the efforts for harmonisation of pharmacopoeias as a positive move, which would help including remedies from each other’s pharmacopoeias. Dr. Robbert van Haselen, Director, World Integrated Medicine Forum (WIMF), in his keynote address, mentioned that AIMF aimed to further develop evidence-based Traditional, Complementary and Integrated systems of Medicine (TCIM) by promoting public-private co-operation, where the public and private sectors are the ‘actors’, while patients and health care providers are the ‘drivers’. He said that the legitimate and increasing demand/need for homeopathic products by patients and health care providers worldwide needs to be balanced by appropriate regulatory framework which proportionally addresses quality, safety, effectiveness and availability of medicines. To achieve this he said, the role of regulators, industry and respective countries are intertwined. He said that India is the rightful host to such a forum, given its openness to medical pluralism, both politically and culturally. Dr. Raj K. Manchanda, Director General, CCRH in his welcome address, expressed his gratitude to the Minister of AYUSH for his support and presence, welcomed all international and national guests and delegates to the forum, and also shared the outcomes of the last forum. He further added that the core aim of the forum is to sensitise more and more stakeholders to the needs and challenges of regulating HMPs, by providing an appropriate stage to discuss such issues, and not to enforce or impose what is deliberated. He said that since each country is unique, accordingly, its regulatory designs for HMPs can best be decided by the direct stakeholders. He reinforced to the delegates that these discussions are primarily meant to give the stakeholders a vision, and perhaps, even a future roadmap of doing whatever is feasible for ensuring regulation and availability of Homoeopathic Medicinal Products. Dr. Anil Khurana, Deputy Director General proposed a vote of thanks to the dignitaries and delegates, and hoped the forum will prove to be a great opportunity to learn, share and discuss on the next steps in bringing about harmonisation in the regulatory sector of Homoeopathy.